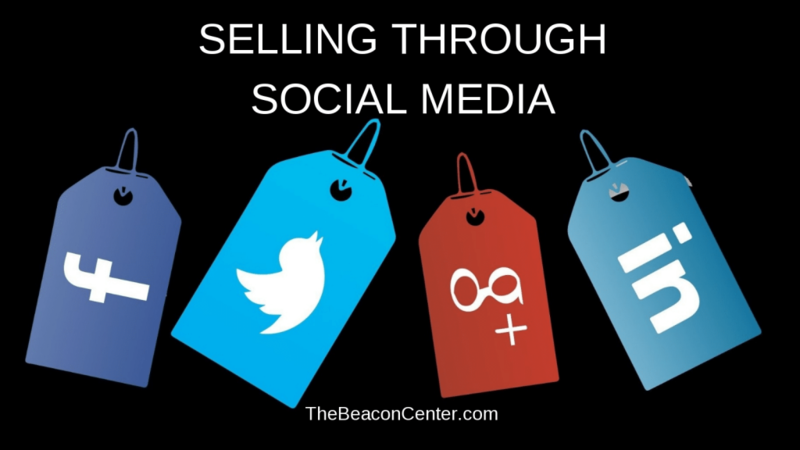 If you are not on social media with your business, then you may be missing opportunities to sell your unique product or service. Communicating your business goals and visions on social media without overhyping or hard sales doesn’t have to be hard. Just remember, something is better than nothing and you can improve your efforts over time. Whether you are on Facebook Messenger, Twitter, or another social network, start the conversation. Selling is about conversations. If those conversations are interesting, captivating and fill a need for the sales target, you are likely to close the sale. During an online conversation, you have direct access to your lead. Not too much different than a face to face encounter. You do lose the body language visual, but in some ways, that can help. Lack of visual cues can clear the field for facts and real solutions. We do have a cautionary note: “Not Everyone Wants What You Are Selling”. Remembering this fact as you begin any conversation with an online lead. A soft touch can make a big difference in your approach. Not to mention how your pitch is received. Whether you want to close a $10 deal or get more people on your mailing list, every online contact can be a sale. When entrepreneurs understand the visual and emotional limitations of “virtual sales calls”, I believe you will have greater conversion success. Even if you feel that you have the best product or service, should probably refrain from bombarding contacts with sales-oriented messages. While every message carries the possibility of a sale, overselling with message storms can kill sales as well. If you properly limit and specifically target messages to certain contacts, Social Media Conversations can lead to sales. The Beacon Center would love to have a conversation with you about your venue space needs and invite you to reach out to us in whatever social network you prefer.